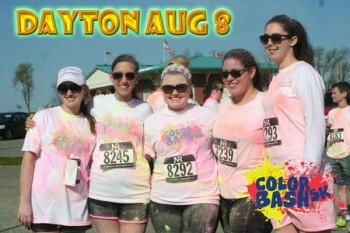 Who wouldn’t want to run a ColorBash5k for Dayton Crayons to Classrooms. To enhance the readiness to learn of all students in need in Greater Dayton, Ohio, by providing them the basic school supplies that are essential to academic success—at no cost to the their teachers, families, or schools. Dayton Crayons to Classrooms (DC2C) is a free store for teachers from under-funded preK-12 schools that serve students living in poverty in Ohio’s Miami Valley. 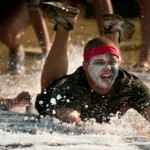 How is the ColorBash5K different? Sure, there are all sorts of runs. We take the ColorBash to the next level, leaving you with a one of a kind experience! Be prepared to get completely covered in color while walking or running the 3 mile course. All ages and runner/walker levels are welcome to participate! This is a family friendly event that will leave you colorful from head to toe! The Color Bash course will have designated parts of the course for the color zones. At these color zones color-ologists will bombard participants in order to cover them in color. All of the colors are 100% natural and are safe to digest, although not recommended. 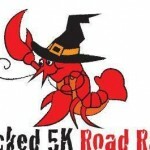 Come for the 5k, but stay for the colorful after party! Dance the morning away while getting covered in more color dust. Enjoy yourself with family and friends as we throw more color in the air every 10 minutes! You won’t want this fun to end!